Note: Submarine Manufacturing & Products Limited is not 510(k) cleared yet. 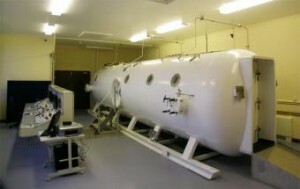 If you need help securing a Hyperbaric Chamber that is 510(k) compliant contact us today. 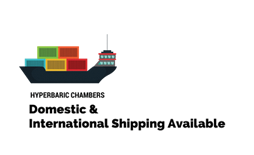 Situated on seven acres of land in Newton, Submarine Manufacturing & Products Ltd. has become one of the most successful suppliers of submarine equipment and related services in the United Kingdom. With acres of workshop and engineering space, SMP Ltd has the room for top of the line cleanroom facilities and enough storage to rapidly fill almost any order. With upwards of £10 million of annual revenue and sales points for commercial diving equipment all over the world, SMP Ltd has come a long way from its beginnings as a tiny company operating out of an old carpenter’s shop in Fleetwood. Today it supplies hyperbaric chambers, launch and recovery systems, saturation diving systems, breathing air compressors, diver-to-surface umbilicals, mixed gas diving breathing helmets, underwater camera and lighting systems, underwater hydraulic tools, underwater welding equipment, and more, making it a total solution for any commercial diving venture. The origins of SMP lie with an engineer named Phil Connolly, a professional diver and trained engineer, who in 1985 decided to go into business for himself repairing and restoring commercial diving equipment. Originally named Marine Surplus Supplies Ltd, it took on its modern name in the 90s, once it started receiving regular orders to build new equipment. During this time the company expanded to fill multiple industrial units, and kept an eye out for liquidation sales on diving equipment. After some years building their stock of parts and equipment up to enormous levels, the company had to relocate to ever-larger facilities, expanding and improving their engineering capabilities every time they did. Because of this commitment to building up their resources, SMP Ltd is able to offer its customers rapid fulfillment on almost any order. This rapid fulfillment combined with their engineering know-how and a bespoke approach to every job has led to SMP saturation diving systems and hyperbaric chambers becoming adopted by commercial diving operations all over the world. Diving businesses large and small rely on SMP’s air compressors. Indeed, SMP’s expertise with hyperbaric chambers has even led to orders from the on-shore medical industry, for use in oxygen therapy. SMP Ltd continues to grow, and looks forward to opening more new markets and services. To get more information about their products, or to learn more about any SMP team member, or to contact SMP Ltd concerning an order, visit their website at https://www.smp-ltd.co.uk/. A brochure of their full-range of products is available to site visitors. The SMP Limited Hyperbaric Oxygen Therapy Chamber features fully-reinforced bulkheads and can treat 2-18 patients at the same time. 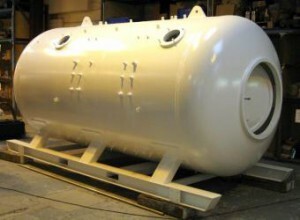 The Standard Hyperbaric Chamber from SMP is a 72-inch model that features a twin-locking system for diver decompression, and is fully equipped to function as a stand-alone device or can be custom ordered to fit customer specifications. 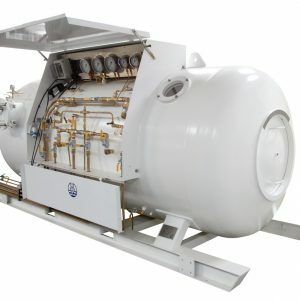 The SMP Twinlock Hyperbaric Chamber standard commercial twin lock specification was designed to meet harsh offshore environment and includes a range of optional extra features.